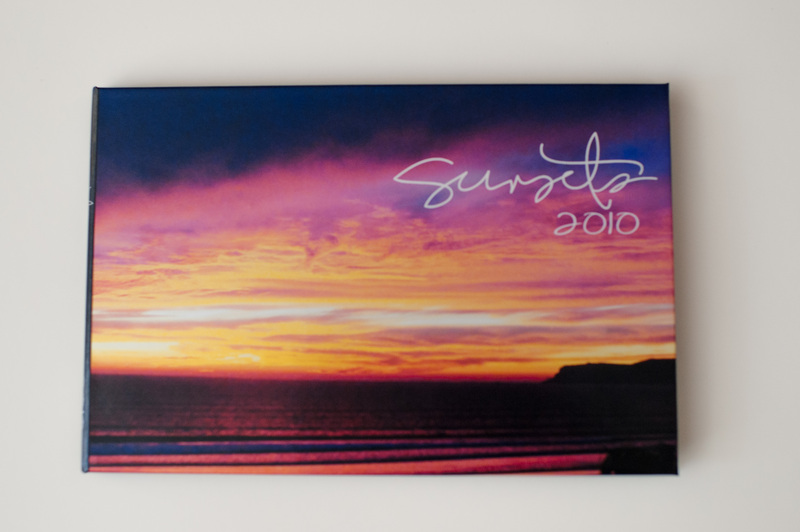 Every holiday season, I make my husband a photo book composed of sunset photos we have taken during the year. We are very fortunate to have some incredible sunsets. The last two years I have made a book with Adoramapix. You can find their website here: http://www.adoramapix.com/app/home. 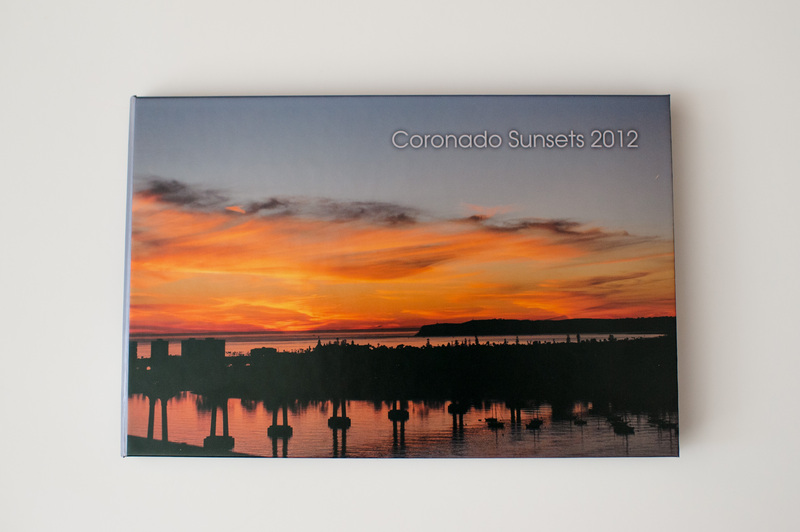 I really like Adoramapix photo books for their variety of sizes and high quality, lay flat pages. The cons of this company are their specific page numbers – 14, 26, 38, 50 or 76. I don’t mind the page limitations with this type of book about sunsets because I can easily figure out how to make the photos fit or delete a couple photos, but when I am telling a story in a photo book, I have a much harder time limiting my pages to a certain number because I never know how many pages I will need to tell the whole story. For both books, I chose the “Custom Hard Cover” option for the covers which takes an image of mine and wraps it as the cover. When my first book arrived, I was in awe of the cover’s most beautiful, metallic finish. It just has this incredible luster. The attempt to photograph the finish just doesn’t come out so you have to take my word for it but it will make say you “wow”! Both books are 8×12 in size with 26 pages each. Below are some sample pages. You can see how I used the words. I also keep the layouts for such a small book to about 3 different layouts or variations of them. 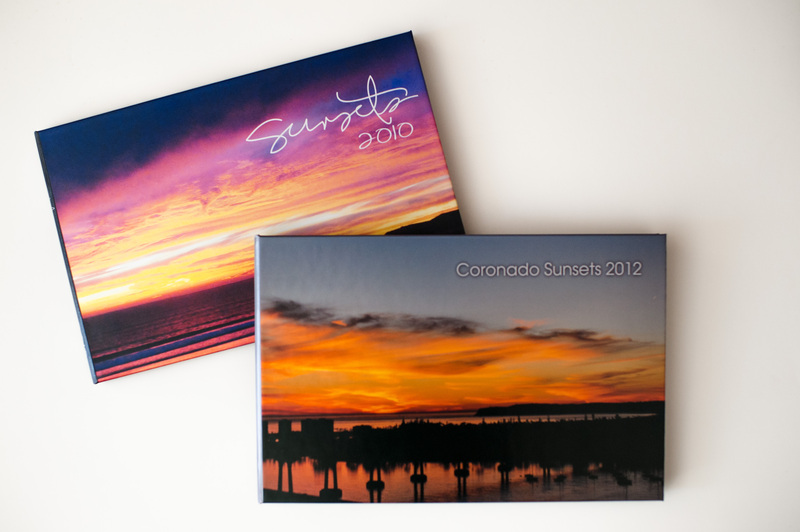 For the 2012 Coronado Sunsets Book, I wanted something similar but different. So I kept the same size book, used white as my base color, did not add any digital brushes and used different, simple layouts. This entry was posted in photo book and tagged Adoramapix, photo book by mabufive. Bookmark the permalink. Beautiful.. I am trying to digitally scrapbook from 2009 and on.. I took a photo a day from last year and I am doing it this year, so I just have about 4 years to do!YIKES!!! Any advice on which company to use for a book that would have about 300 photos in it? Mixbook is driving me crazy right now. I love the simple mix it up format, but I can not edit any photos. I have some with red-eye…pre Karen and manual photography:).